When you delete a file in Windows, it goes to Recycle Bin which allows you to restore deleted files in case that you change mind. If you empty Recycle Bin or delete files using Shift + Delete key combination, you can still get them back easily with the help of data recovery software. 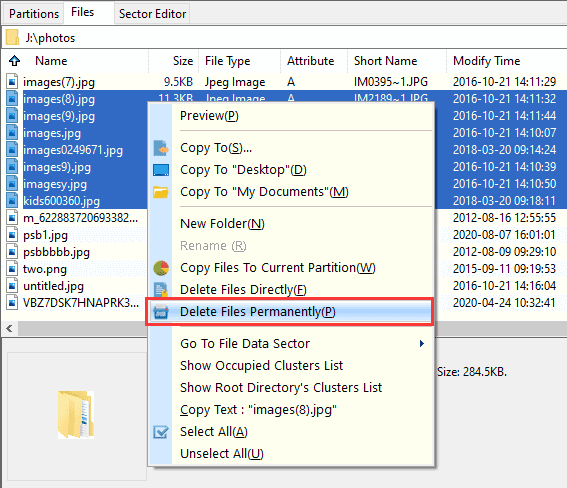 How to delete files permanently from storage device? DiskGenius enables you to delete files permanently so that nobody can recover them by whatever means. It deletes and overwrites both the entry and data itself, thus deleted files are no longer recoverable. 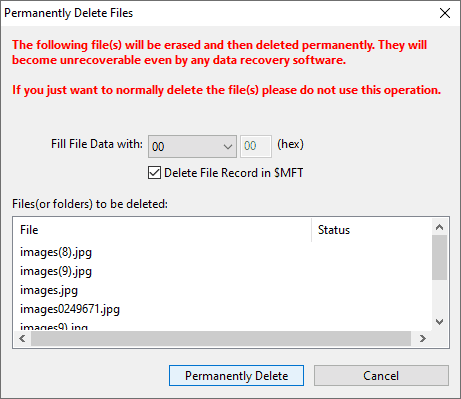 Step 1 Select files you want to delete permanently and right click to choose "Delete Files Permanently". Step 2 Select characters to overwrite data and click "Permanently Delete" button. Step 3 Click "Delete" button and DiskGenius continue to delete files.